KILLINGTON—The Killington Arts Guild hosted an opening reception for its new show “Vermont and Me” on Saturday, Aug. 30, at the Gallery on Route 4 in Killington. Family, friends and visitors in the area enjoyed refreshments and the work of many talented artists. 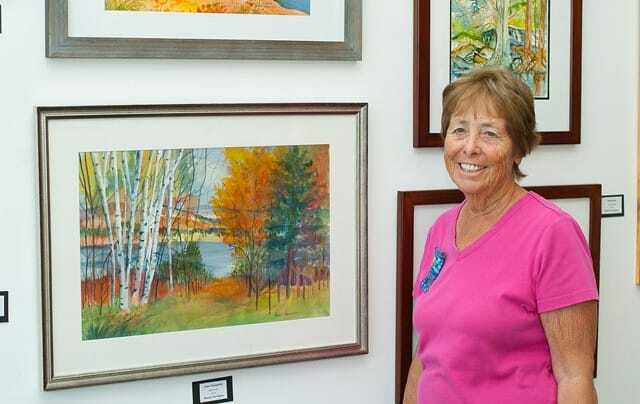 Maurie Harrington, a Vermont watercolorist and the featured artist for this show, has her studio in Killington. She captures nature using many special techniques, including watercolors done on yupo paper and pen and ink rendering with a watercolor wash. “Plein air” painting is her passion, especially when painting her favorite subjects, which include house portraits, landscapes, snow scenes, barns, buildings and florals. In Harrington’s work you will find both the muted tones of soft florals and the vibrant colors of fall in Vermont. Harrington has illustrated many books, including a poetry book, “Gathering of Poets,” which includes two of her poems. Currently she is art director at the Fisk Farm in Isle LaMotte and is a founding member of the Killington Arts Guild. 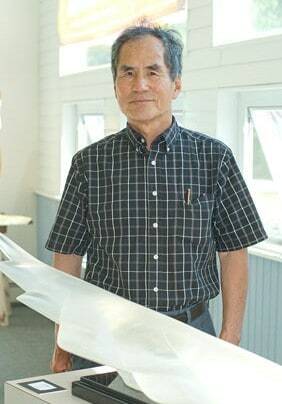 Sculpture in many media is displayed throughout the gallery and a new member artist John Kim is showing his work with Lucite acrylic. Kim uses a table saw, a band saw and other smaller tools to create both small and large pieces. He then sands, bends and joins the various parts. These pieces come alive as they move in the breeze. “Snow Birds” is a fine example of his work. The piece is graceful and mesmerizing. There are also many examples of Vermont’s beauty, brought to life through photography, oil paintings and sculptures. Myra Grosinger is a long time member of the Guild and has captured what many of us encounter along Vermont roads. Her paintings of abandoned cars and trucks turn them into things of beauty when combined naturally with wild flowers and vines. The works displayed are not limited to images of Vermont or New England. This show also features a sculpture of Horus, one of the oldest and most significant deities of ancient Egypt. He was most often depicted as a falcon or as a man with a falcon head. Come and see how Robert Pye has chosen to present Horus in marble. The Killington Arts Guild is located at Base Camp Outfitters, 2363 Route 4, Killington. It is open daily from 9 a.m. to 5:30 p.m. For more info www.killingtonartsguild.org.